Bowers is spying on the Prox when his ship crashes and he dies…kind of. When he wakes up in his Anchorage apartment he discovers he has a new body—and new powers that could win the war…or end all life as we know it. 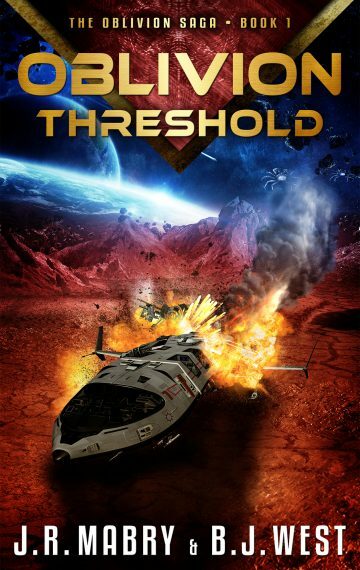 Oblivion Threshold is the first book in the thrilling Oblivion Saga. If you love Star Trek and Starship Troopers, you simply cannot pass up this adventure.